Home - Top Stories - Is QE3 Still on The Table? Is QE3 Still on The Table? 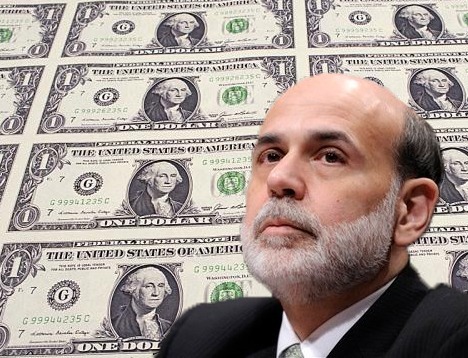 NEW YORK (ForexNewsNow) – All week long, Federal Reserve Chairman Ben Bernanke’s Jackson Hole speech fueled speculation in the markets: Would he announce the launch of a third round of Quantitative Easing (QE3)? The answer, for now, is: No. Bernanke made it clear that he would not initiate a third round of quantitative easing at the current point in time. The Fed chairman took this decision despite restrained US economic activity with US GDP growth in the second quarter revised downward to 0.3% from 1%. However, Bernanke did not rule out other measures to boost the flailing US economy. Some measures were considered during the Fed’s August meeting, including the benefits and costs of various monetary tools, said the Fed chief. The minutes of this meeting are to be released on Tuesday, August 30th. Bernanke announced that the Monetary Policy Committee of the Federal Reserve would meet for two days in September (20th and 21st) instead of a single day, which implies that the discussions will be more in-depth than usual. The door to QE3 has clearly not been completely closed for the near future. In the meantime, the US central bank will continue to scrutinize the economic information that is released and the Monetary Policy Committee will stand prepared to use its tools to defend a stronger economic recovery in the context of price stability, Ben Bernanke insisted.